Right now I am in stock positions, Without protection, I don’t want a bearish position on a bullish moving stock. A speculative trade is a trade that you should be willing to lose every penny. LOOK to have a trigger or contingent order in play to protect myself to the downside. Ford (NYSE:F) reports Q1 U.S. sales were down 1.6% to 590,429 units. The automaker saw a smaller drop for the quarter than either GM (-7%) or Fiat Chrysler (-3%). Ford brand sales were down 2.1% during the quarter and Lincoln brand sales rose 11.2%. Car sales -23.7% to 98,265 units. Fusion sales -3.5% to 41,683 units. SUV sales +5.0% to 213,086 units. Explorer sale -1.5% to 53,306 units. Truck sales +4.1% to 278,898 units. F-Series sales +0.2 to 214,611 units. The respectable quarter by Ford is another indication of the “piecemeal progress” described by Morgan Stanley’s Adam Jonas earlier this week that is ever-so-slowly drawing the attention of investors. Shares of Ford are up 0.33% to $9.16. Walt Disney (NYSE:DIS) is up 0.6% premarket after Goldman Sachs reinstated the company at Buy: It’s “the dawn of a new era” after the company bought the media assets of Twenty-First Century Fox. Goldman advised on that deal, and had suspended its previous Buy rating in December 2017. Borst has a price target of $142, implying 26.2% upside from a current $112.52. At the same time, the ways in which people think about how we can become financially better off are increasing and evolving. A tax examiner for the IRS couldn’t afford to pick up his insulinprescription. A geologist for the Department of Interior was left with just $33. Some workers had to take on temporary jobs. For a large swath of America, it was probably not a surprise that so many people became so vulnerable, so quickly. If their income was put on pause, or an unforeseen expense dropped into their lives, they’d be in a similar bind. Forty percent of people in the U.S. don’t have $400 set aside for an emergency, according to the Federal Reserve. Additionally, 25 percent of Americans have nothing saved for retirement. In 2015, a study published in the Journal of Human Resources found little evidence that education intended to improve people’s financial decision-making is successful. “Policies to expand high school financial literacy education … may be misguided,” the researchers concluded. “The finding is not that we shouldn’t spend on financial education — we should actually try to make it better,” said Annamaria Lusardi, the director of the Global Financial Literacy Excellence Center at George Washington University. 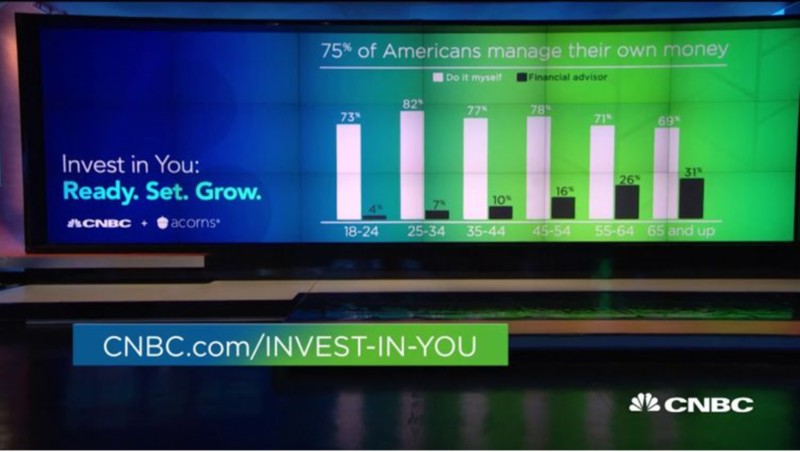 In a new CNBC Invest In You and Acorns Savings Survey, more than a third of respondents said they don’t make enough money to meet their needs and save. Alex Todd has taught a personal finance class at Elizabethtown High School in Kentucky for more than two decades. After the 2008 financial crisis, he began to hold more of the courses. “Parents said they wished they’d had this class in high school,” Todd said. A recent study found that in states where personal finance education is mandated, students go on to make better decisions about how to pay for college. For example, they don’t take on as much private debt. “If every state in America would spend a little bit of time teaching financial literacy to high school students, we can begin to win a battle we’ve been losing for the last 40 to 50 years,” Todd said. IT’S NEVER BEEN SO EASY TO FIND INFORMATIONabout paying off debt or investing. There are personal finance books, podcasts, television shows, YouTube series, blogs, news sites and Meetup events. The Reddit personal finance channel, in which people detail their financial circumstances and ask for advice, has more than 13.5 million subscribers. “The personal finance education space is getting a lot more inclusive and friendly,” said Chris Browning, who hosts the podcast Popcorn Finance. Browning created the series on tax tips and side hustles back in June of 2017 and releases an episode a week. Around 1,500 people currently listen in, he said, often while they’re driving to work or cleaning up the house. “Talking about money gets kind of intimidating and pushes people away,” Browning said. “I try not to use a lot of jargon. As personal finance advice proliferates, it also grows harder for people to pick out what’s actually good for them, said Hensley, the president of the National Endowment for Financial Education. Up until recently, if an employee did drop out, that would be the end of their workplace retirement savings unless they signed up again. But now, some companies are auto-enrolling their workers more than once a year. (Nearly 10 percent of Prudential’s retirement clients do so today). Vernon believes it’s unreasonable for companies to expect their employees to turn into an investment manager in their retirement. “That’s a complex task that most ordinary workers are not equipped to do on their own,” he said. Disney’s Investor Day: A Catalyst For The Stock? Disney has an investor day scheduled for April 11. Bullish options bets suggest shares rally over the next month. The technical chart suggest shares rise too. Disney (DIS) will have its highly anticipated investor day on April 11. It’s widely expected that the company will give investors their first look at the Disney+ streaming service. 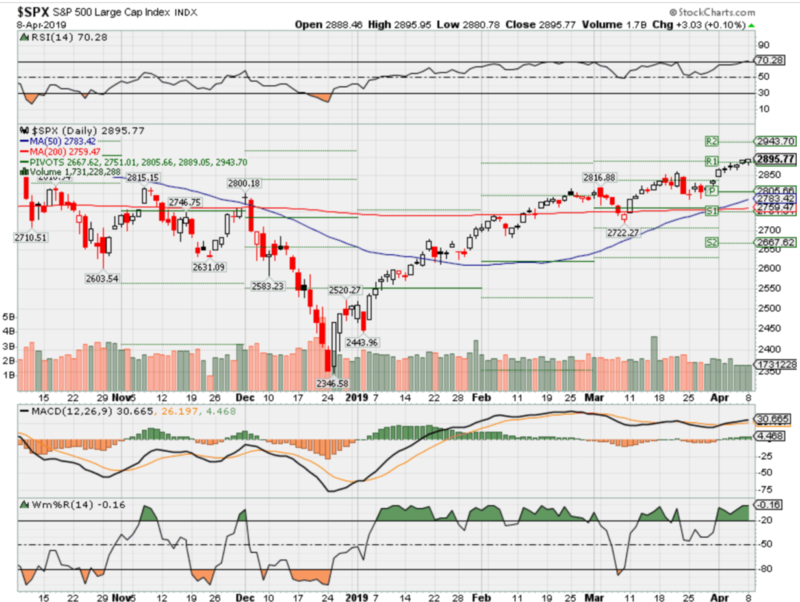 There have been some big options bets placed ahead of this event which would indicate that some are looking for the stock to rise sharply over the next month. The stock has essentially gone nowhere since late 2015, after peaking at roughly $122. But now the stock appears to be breaking out rising above a multi-year downtrend. 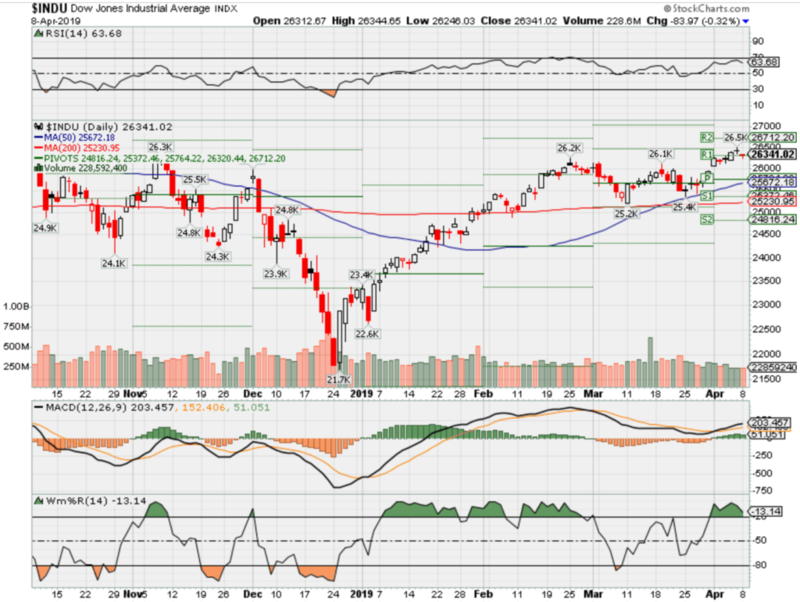 Additionally, the stock is nearing a level of resistance around $116.50. Should the stock rise above that resistance level the shares may push higher back to their all-time highs. 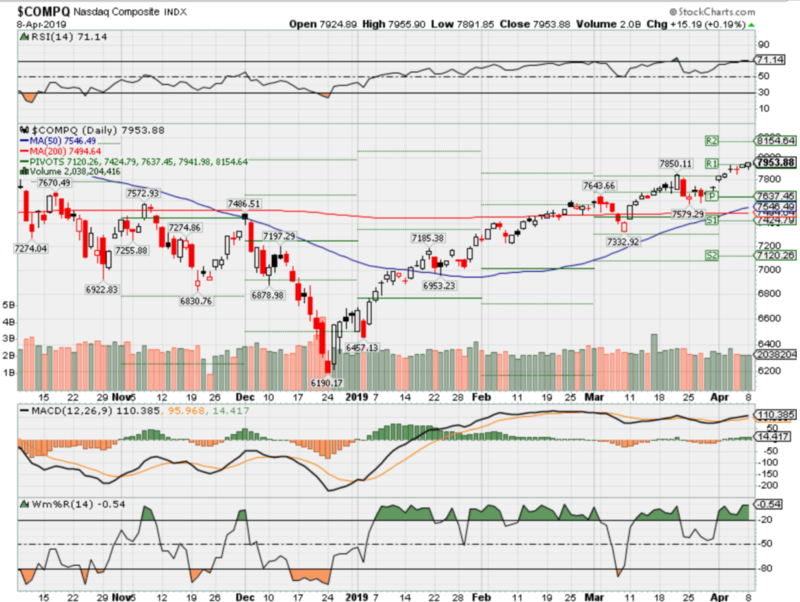 However, should the stock fail to break out at $116.50 it could result in the stock falling back to roughly $100, a drop of about 13% from the shares current price. 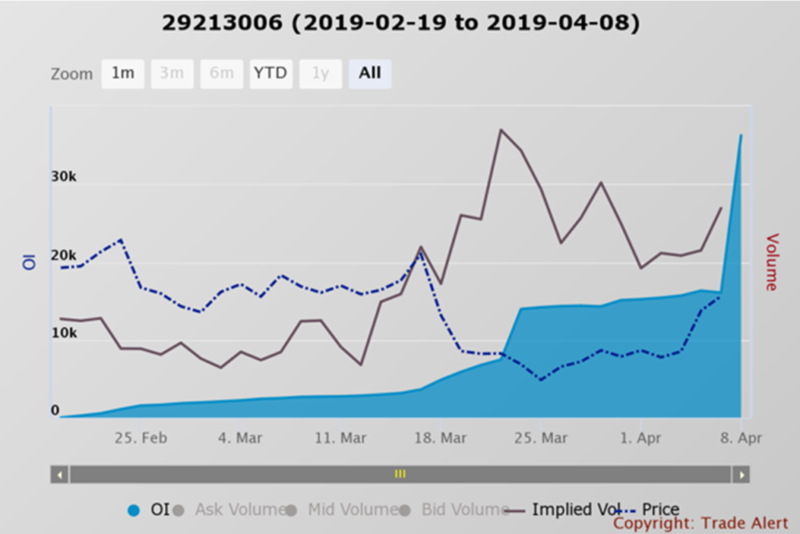 The options for expiration on May 17 saw their open interest levels rise by more than 20,000 contracts on April 8, to a total open interest of 36,200 contracts. According to data from Trade Alert, the options were traded on the offer, suggesting they were bought for roughly $1.60 per contract. Additionally, the data also shows they were part of a spread trade, with the trader selling the $105 June 21 puts, for roughly $1.00 per contract. By buying the calls and selling the puts, the trader is betting the shares rise above $120 by expiration. They sold the $105 put to collect a premium to offset the cost of the calls, from $1.60 to around $0.60. It means the stock needs to rise to around $120.60, or about 5% from the stock’s price of $115 on April 5, by the May expiration date. Investors are looking forward to the Investor day on April 11, where they should get their first look at the new Disney+ streaming service. The company noted on its fiscal third quarter conference call in 2018 that because of the quality of content with productions from Pixar, Marvel, Lucasfilm and its other brands, the company doesn’t plan to have the same volume as Netflix (NASDAQ:NFLX), and the pricing will reflect the lower volume. Based on this language it’s likely that Disney’s pricing for its new streaming service will be at a lower price than Netflix. Additionally, investors will likely look for additional content that may be exclusive to the streaming platform. As well, as the highly anticipated launch date in 2019. There are obviously some significant risks going into this event as well as we do not know if Disney will reveal any update to its earnings guidance, as it’s unclear how the streaming platforms expenses are evolving. The company noted on its fiscal first quarter call for 2019 that the development of ESPN+ and Disney+ services would have an adverse impact of about $200 million on operating income for the second quarter. Also, the company had noted on its fiscal third quarter conference call in 2018 that it had planned to launch the Disney+ service in calendar 2019. However, during the first quarter call in February the company noted later this year as a time frame. It’s a subtle change in language but certainly could be viewed as less definitive. Any delay in the timing of this launch would be a big negative for the stock. Investors have been waiting for the launch of this service for a long time and it is a big piece of the bull narrative. It would seem based on the charts and the options bets that investors are very bullish on Disney heading into this event. While Disney could announce many positive catalysts that could take the stock soaring to record highs, it is not to say it does not come without risks. Disclosure: I am/we are long DIS,NFLX. I wrote this article myself, and it expresses my own opinions. I am not receiving compensation for it (other than from Seeking Alpha). I have no business relationship with any company whose stock is mentioned in this article. “I don’t think that it will turn out to be the best investments at all, of the whole panoply of things you could do, but I’m pretty sure that they won’t disappoint me,” Buffett added.Buffett, 88, has publicly praised JPMorgan’s CEO Jamie Dimon for years but had not owned the stock until late last year. Last year, he told Yahoo Finance that he made a “mistake” by not buying JPMorgan earlier.